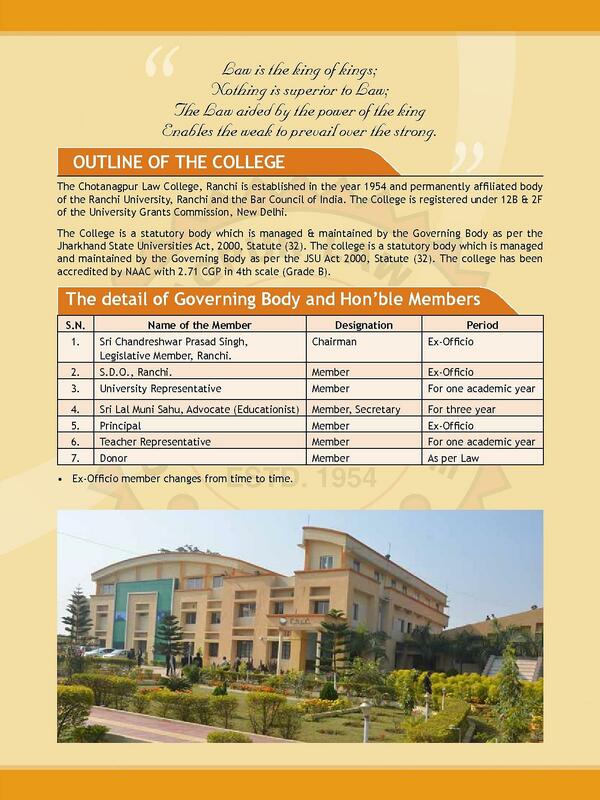 Chotanagpur Law college, Ranchi was established in 1954 by zeal and hard work of Late barrister S.K. Sahay and people who gave their best in educating people of this tribal region. 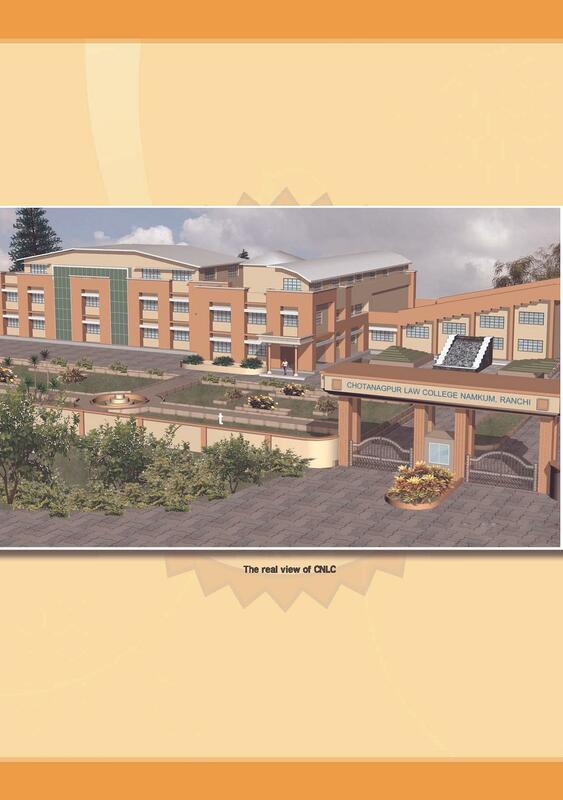 It was first affiliated to the Bihar University and thereafter the Ranchi University, Ranchi. 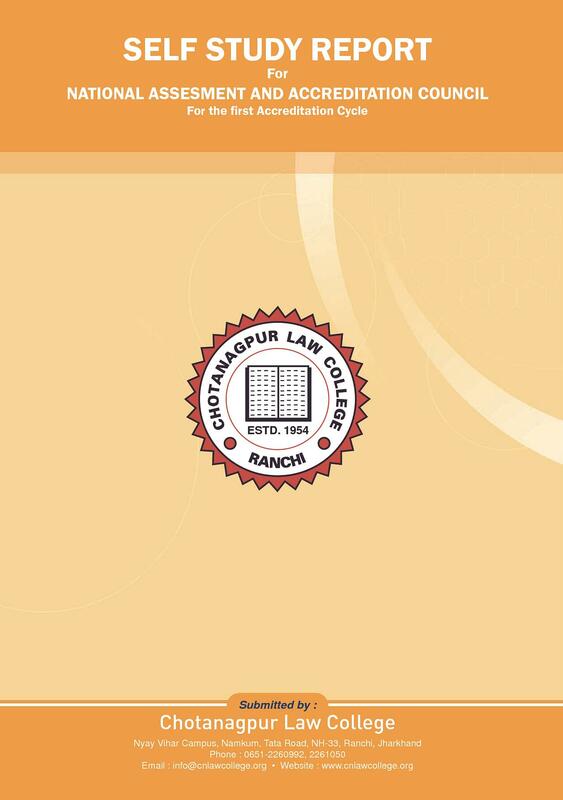 The Chotanagpur Law College makes a preferential option for the marginalized and it seeks to give an all-round formation, inculcating both human and spiritual values The main aim of the college is to revamp the whole curriculum through a process of discussion and deliberation. The College has beautiful and big building divided in to several parts such as Administrative Building, Hi-Tech Class Rooms with Digital Board and internet facility, Moot Court Hall with wi-fi facility, Library and Electronic Library and Auditorium Hall with Audio-Visual facilities built up in approximate 16000 sq.ft. ground floor. The College has Moot Court Hall built up in approximate 1000 sq.ft in the campus with complete sitting arrangements, internet facility, Photocopy machine, computers, Printer etc. It helps the students to get practical knowledge about the decorum and atmosphere of courts. Hi Shashikant, how may I help you? 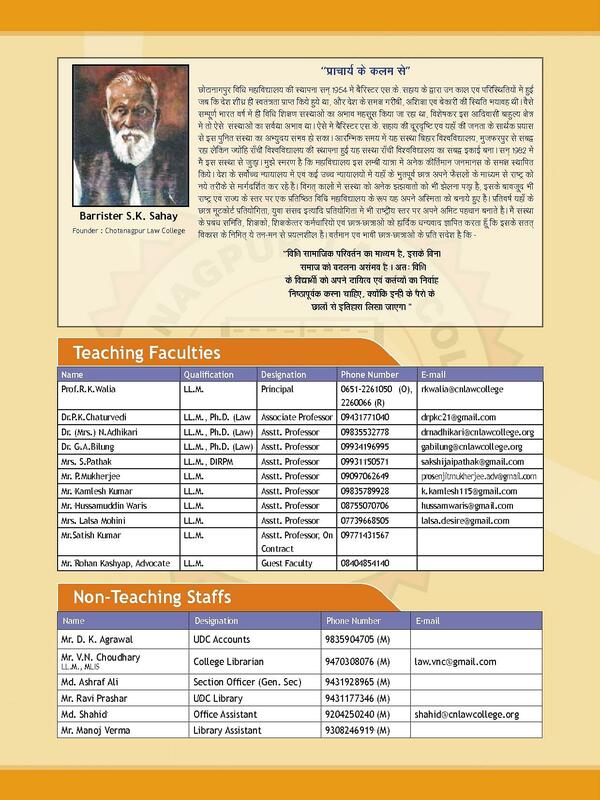 Hi Shashikant, kindly contact the college on 0651-2260066 , 2261050 for admission process of the college. I want to admit in this institution in LLB. Please help me. 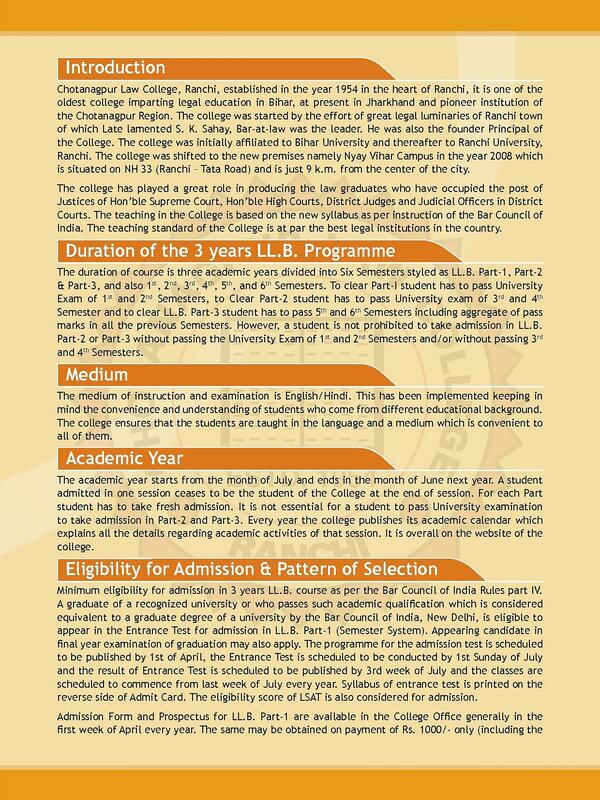 Hi Ranit, The eligibility to get admission in LLB minimum eligibility for admission in 3 years LL.B. course as per the Bar Council of India Rules. A graduate of a recognized university or who passes such academic qualification which is considered equivalent to a graduate degree of a university by the Bar Council of India.